We are a technology company focusing on designing, implementing, and delivering solutions using the Oracle technology portfolio and Oracle Reference and Enterprise Technology architectures. We are based in Athens, Greece, and work with customers on a worldwide basis. Our typical end customers are large companies and public sector institutions introducing or utilizing Oracle Fusion Middleware solutions as part of their IT modernization strategy and efforts. Our services delivery organization is built around cohesive teams of experienced consultants and implementors, able to support the full technology project lifecycle. Our team members intimately understand both the organizational and technological challenges involved in complex projects and proactively balance deep technical understanding with sound delivery principles and common sense to facilitate the surprise-free adoption of enterprise-grade architecture and technology. networking, storage and virtualization planning. Enterprise deployment and high-availability configurations for on-premise and cloud-hosted solutions. Oracle Fusion Middleware product family (Oracle SOA / BPM Suite, Oracle WebCenter Suite, Oracle WebLogic, Oracle Coherence, Oracle Event Processing). Fusion-centric (Oracle ADF) and open source application development frameworks (Oracle TopLink, Spring). DevOps (configuration management, deployment automation, continuous integration and delivery) as a fundamental building block to support agile methodologies development and platform-as-a-service delivery. Oracle SOA Suite resides at the core of our implementations, providing a reliable and flexible service layer for building robust and extensible service-based applications. Containing key additional components such as Oracle Service Bus, the Oracle Coherence distributed cache and Oracle Event Processing, it seamlessly integrates miscellaneous services, data sources and data feeds to cover all modern server-side business requirements and deliver a server-side platform for the long haul. 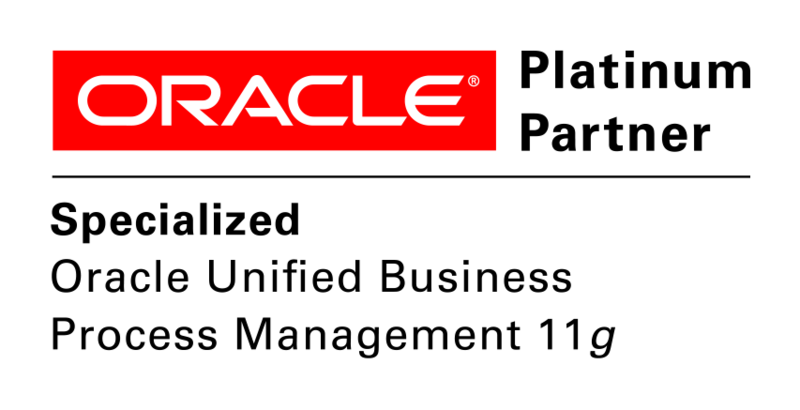 When projects require a mix of complex process orchestration and human interaction, we utilize Oracle Unified BPM Suite’s features and capabilities. Oracle Unified BPM Suite provides a turnkey environment to build, monitor, and evolve the entire organization’s business processes. The face of every software project remains the GUI. To be loved by end users, it needs to balance simple and intuitive with robust and consistent, regardless of the project’s complexity. 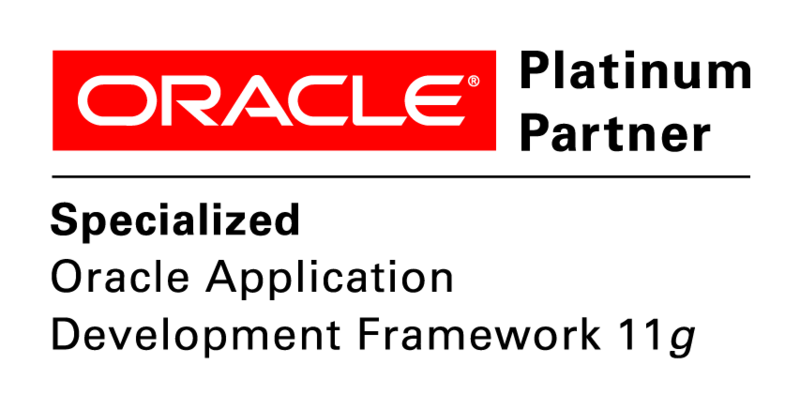 Our specialists engage Oracle ADF, the Oracle Application Development Framework, to deliver the desktop-style functionality that end users have come to expect from today’s web applications. Data is a valuable asset, and data-based decision making should be the minimum aim for all kinds of today’s enterprises. The benefits from the exploitation of data already owned by organizations and enterprises is not always obvious, and even the business problem formulation is often not straightforward. The rapid availability of Artificial Intelligence tools and methods creates both opportunities and challenges for companies willing to benefit from them. Our resident team of professional data scientists at Kaggle Master level combine rigorous academic background with real-world business experience and hands-on expertise in advanced Artificial Intelligence techniques. Whether you possess structured data in a database, or unstructured data coming from images, video, text, or audio, we can efficiently undertake the complete data-based project pipeline (business understanding, data understanding, data preparation, modelling, evaluation, and deployment), delivering products and added-value services. Big Data processes involve acquisition, organization, and analysis of structured and unstructured information streams, usually from a wide range of sources. Services such as large scale analytics, text mining, predictive modelling, recommender systems, and social network analysis, can offer invaluable business insight and lead to competitive advantages. Our in-house data scientists, backed up by an experienced team of systems & data engineers, can deliver products and added-value services to Big Data projects, efficiently utilizing the full stack of related tools and technologies (Hadoop, Spark, NoSQL etc). Process Mining is a state-of-the-art technology, aiming to bridge the discipline of Business Process Management and the rapidly emerging field of Data Science. Process Mining exploits raw event log data, as recorded by enterprise systems, in order to automatically extract a process model as actually implemented and applied in practice; the result is an objective view of “how things actually happen”, contrasted to “how things are supposed to happen”. This view can be used for a number of key diagnostics, such as bottleneck identification, conformance checking, auditing, fraud & malpractice detection etc. Whether your organization uses just paper-defined workflow process, or already has (or prepares to install) a fully-fledged BPM suite in place, Process Mining can help you uncover hidden insights from your event log data.